This is a basic 12 button keypad that has been designed for easy user input and functionality. The buttons are set up in a matrix format. This allows a microcontroller to 'scan' the 7 output pins to see which of the 12 buttons is being pressed. Each of the keypad's 12 buttons has been labeled 1, 2, 3, 4, 5, 6, 7, 8, 9, 0, *, and # and has been formatted to into the same layout as a telephone keypad with each keypress resistance ranging between 10 and 150 Ohms. We've also made sure to create an updated pin-out for this keypad since it has been changed from the previous version. The pin-out can be found in the Documents tab above. Learn how you can use the SX1509 to control 16 LEDs or up to 64 buttons with just two pins. Note: It is suggested to add input pullup resistors so that the pins are not floating. 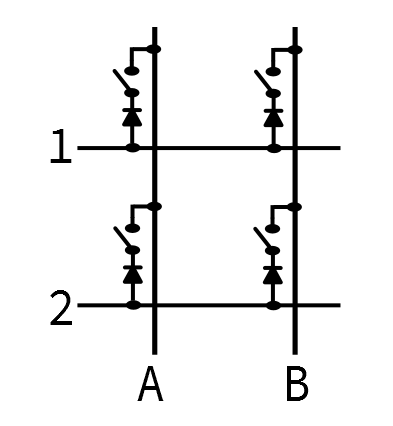 For additional information on Matrix Scanning, check out the Button Pad Hookup Guide: Background - An Introduction to Matrix Scanning for an application circuit when using a button matrix. There is also an Arduino.cc keypad library that you can use. 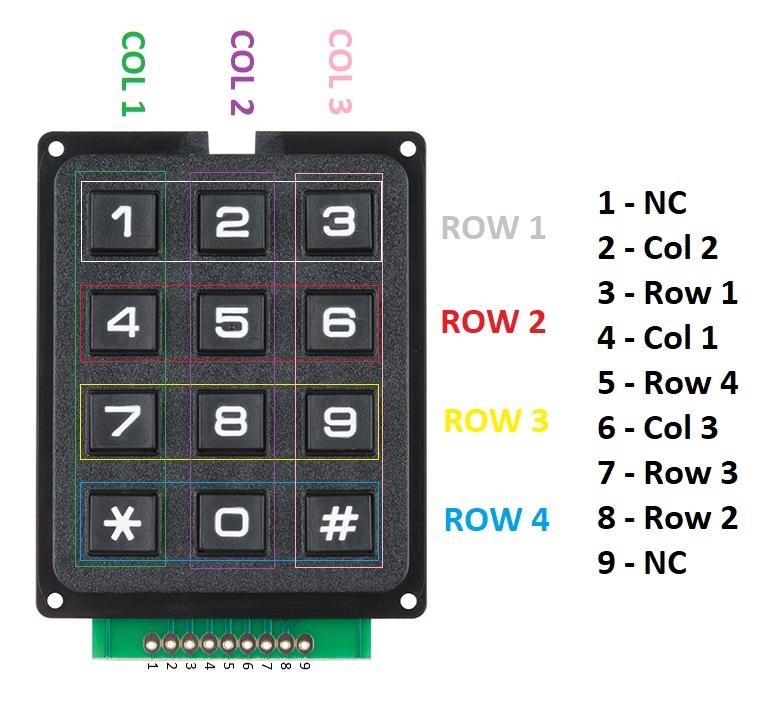 You can view the pinout for this keypad here. So I have this hooked up an arduino Mega, using the Keypad library V 3.1.1. Keys 1, 4, and 7 don't seem to work...* does however, so I think I have it hooked up correctly. Possibly a bad unit? Question: It seems upon first glance that this keypad might be weather resistant. Is is keypad IP rated and if so what is the rating? Suggestion: it would be nice to have a version with the pcb sticking out the top rather than the bottom, from an industrial design point of view. That way you don't have to reach over any wires or route wires under the keypad, etc.